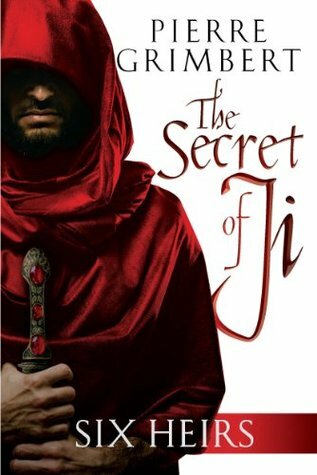 The Secret of Ji by Pierre Grimbert, translated by Matthew Ross and Eric Lamb (broadcast 12-2-2013) Matthew first fell in love with the speculative fiction genre when he read Ursula K. Le Guin’s A Wizard of Earthsea on a trip to his parents’ native home of Amarillo, Texas. His mom, a school teacher, always encouraged his sometimes distracting obsession with books, while his dad, a salesman, made sure he got outside and learned something about the actual world we live in. As an undergraduate at the University of Colorado at Boulder, he studied Ecology and Evolutionary Biology, which left him yearning for some non-science conversation. He tried to add a major in English, but after an English professor strongly encouraged him to major in some language other than English, he began taking French. From there, he fell in love with the language, moved to France for a year, and began a search for an excellent French Fantasy author. He found Pierre Grimbert and tentatively began translating his novel. After sending out samples to a few publishing companies, he heard nothing back and moved ahead with his plans to start his PhD in ecology at Duke University. Two months before he started at Duke, Amazon Crossing contacted him and asked if he wanted to translate The Secret of Ji: Six Heirs. Knowing he might need help, he called his close friend and French mentor, Eric Lamb and asked if he wanted to join the project. They have been translating together ever since. Find out more at BullSpec.